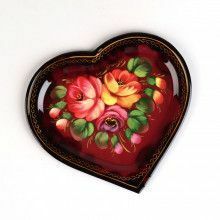 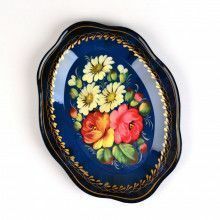 Use this beautiful 13" tray for decorating on a plate stand, or use it to serve food on. 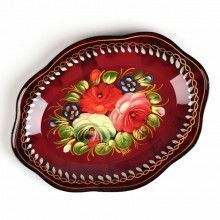 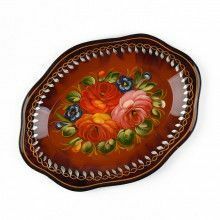 Zhostovo trays from Russia are practical, usable pieces of folk art that last a lifetime. 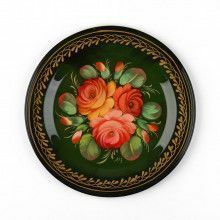 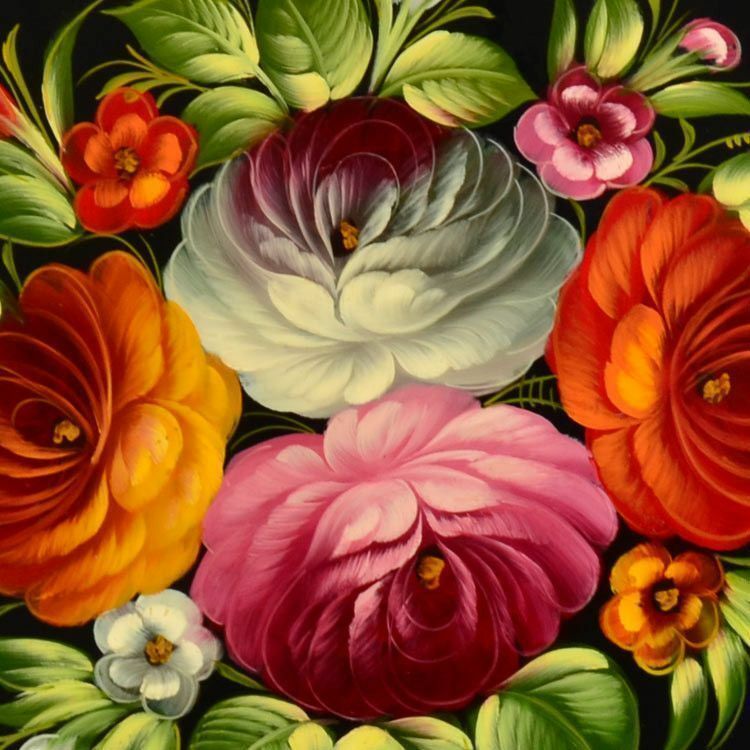 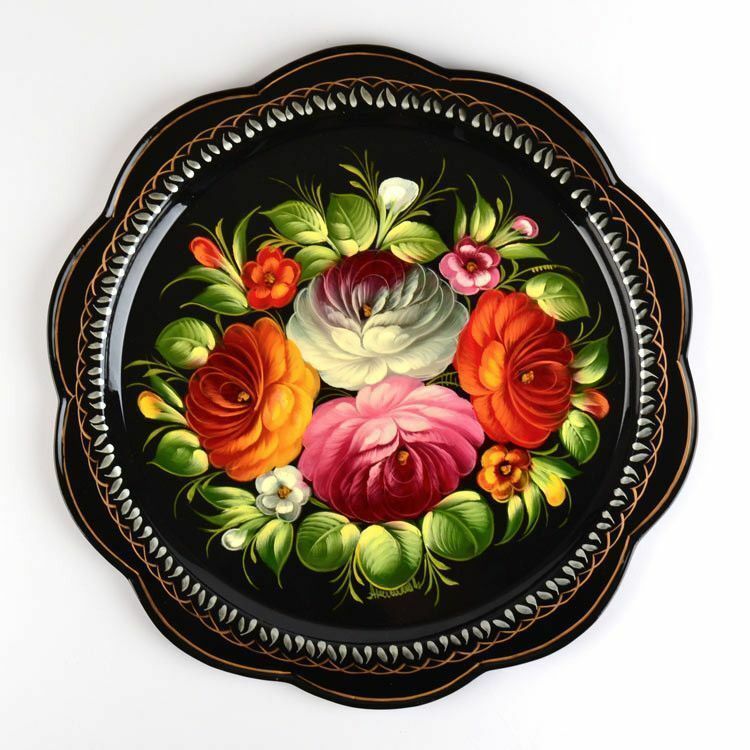 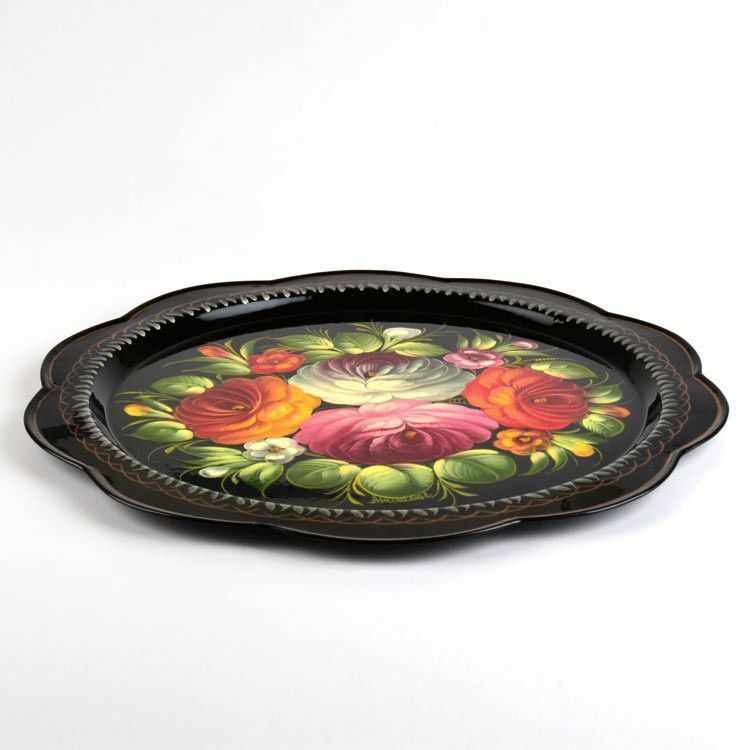 This platter showcases a vibrant floral arrangement against a classic jet-black background, and a gold and silver border along a scalloped edge. 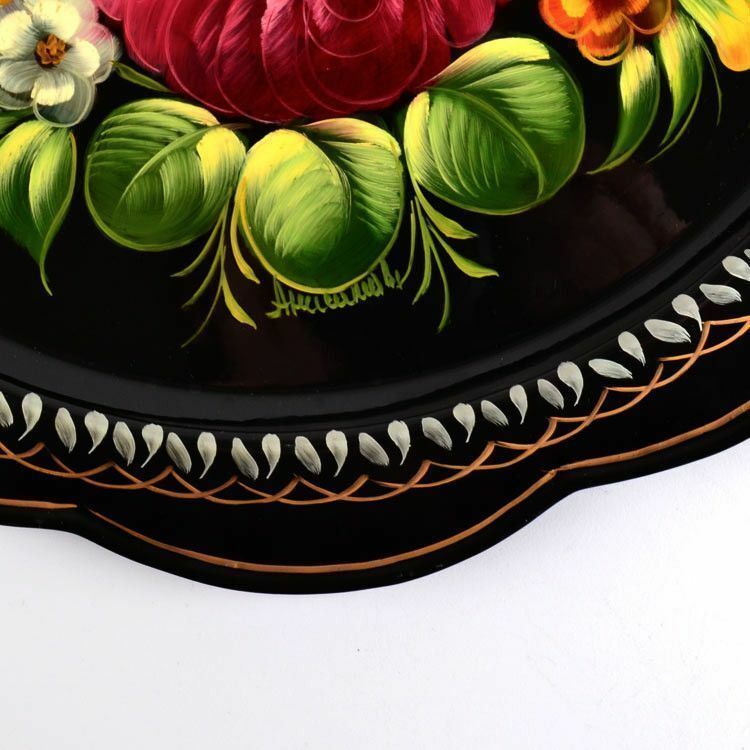 Polished and signed by artist.